Its been a phenomenal turnaround for Harbhajan Singh who struggled in the Powerplay phase last season but returned with figures of 3/20 in four overs against RCB. 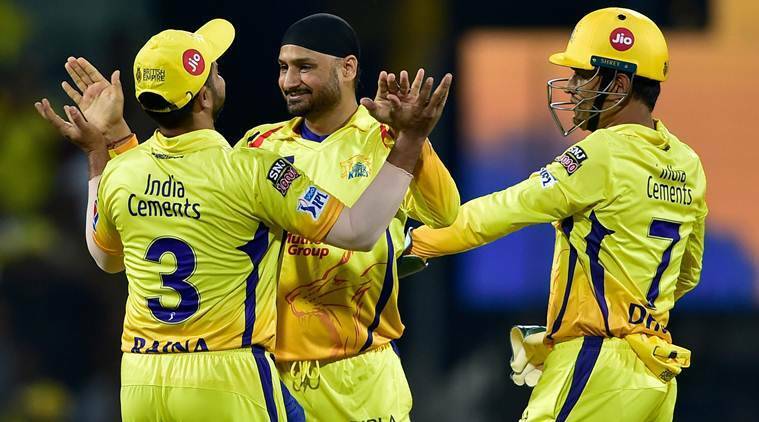 Harbhajan Singh spun a web with the new ball around Royal Challengers Bangalore (RCB) in the first match of Indian Premier League (IPL) 2019 and return with stunning figures of 3/20 in four overs. This was after Chennai Super Kings (CSK) opted to field first. But it did seems like CSK captain MS Dhoni read the pitch correctly as the Turbanator was introduced quite early in the second over. The move seemed to have an immediate impact as the ball started to grip the surface. While Parthiv Patel negotiated him safely, Kohli fell in the fourth over trying to hoick one over mid-wicket. Once Harbhajan got the taste of blood, it seemed like he had turned back the clock as he got the ball to grip, turn and bounce consistently. The slow nature of the pitch also saw Harbhajan pitch the ball short which made it difficult for the batsmen to connect. His final victim was AB de Villiers who was also dismissed while attempting a slog-sweep. Its been a phenomenal turnaround for Harbhajan who struggled in the Powerplay phase last season taking just two wickets in 47 balls at an economy rate of 10.85 runs per over. But against RCB he was excellent bowling in the Powerplay but conceding runs at five runs per over. RCB’s total of 70 all out is the lowest score ever at the MA Chidambaram Stadium and their second-lowest total behind the 49 all out at Eden Gardens in 2017. RCB became the first side to be dismissed under 75 on three different instances in the IPL. RCB also have the dubious distinction of being the only side to register two totals under 100 in the opening game of any IPL edition. 70 at Chennai vs CSK 23 Mar 2019 (batting 1st).